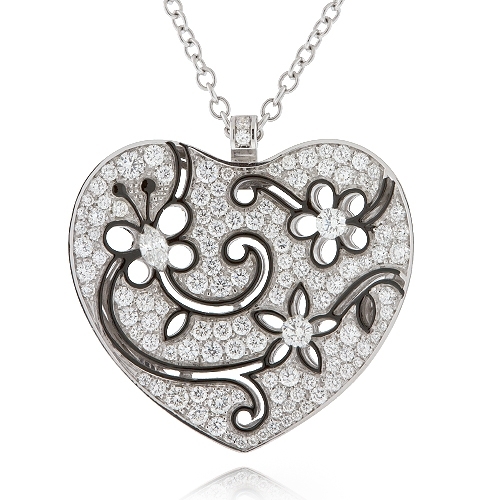 Diamond heart pendant with open butterfly design trimmed with black enamel and mounted in 18k white gold. Diamonds approx.1.60.ct. Chain 20"